Secret of the Three Kingdoms 三国机密之潜龙在渊 has just released its final episodes which are currently available to Tencent VIP users only. I didn't manage to keep up with the drama, but it looks like the main players are down to Ma Tianyu, Elvis Han and Tan Jianci who play historical figures Liu Xie, Sima Yi and Cao Pi, son of Cao Cao. 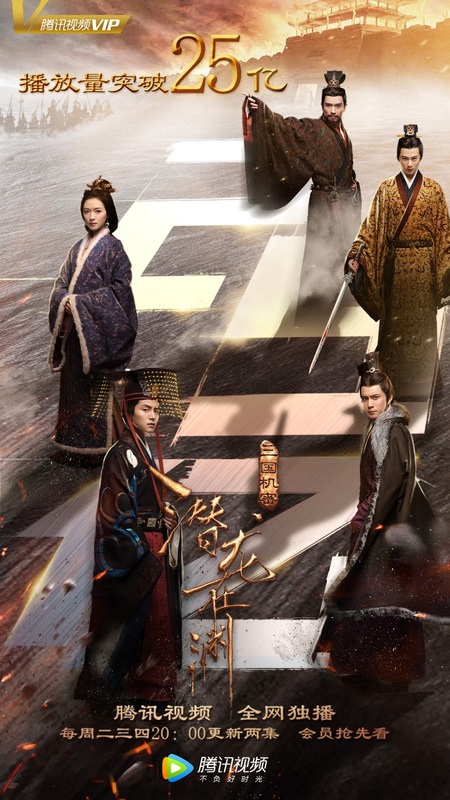 The show celebrating 2.5 billion views is not as high as other equally lengthy (50+ episodes) costume dramas this year which managed to end their run with 5 billion views, but there's definitely no denying the visual appeal of this drama. Even the random clips that I've come across while writing this post make it so tempting for me to give this another try because it just looks so good. Is anyone still watching? Do you recommend it? Im watching it and i like it alot. 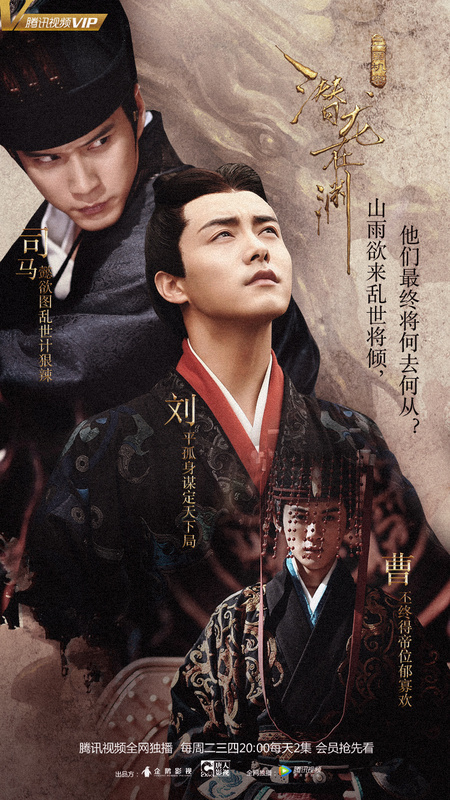 Not ur typical palace drama.where empress is evil or concubine poisons one another to kill heir etc. The cast, costumes, settings, Acting is very good. Tangren anty upped their game. Recommend. Things start to pick up around episode 9. No one is your typical evil character. Everyone is morally gray. An inspirational tale of a man suddenly thrust into greatness when given a chance to follow his beliefs and convictions to change himself and his world even though at odds with the times and thought a fool by others.